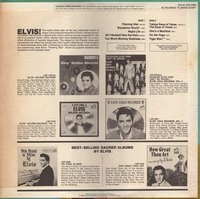 Cover Front: RCA and catalog upper left corner. 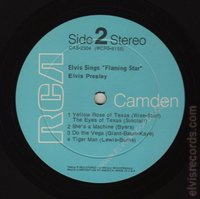 Camden stereo upper right corner. Elvis Sings Flaming Star with song titles. 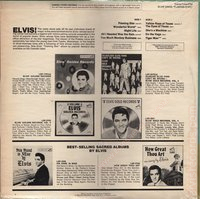 Disc: (4/1969) Blue label. Rigid vinyl (found with the "1" and "3" on the back cover). 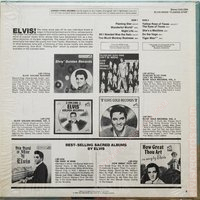 Disc: (1969) Blue label. 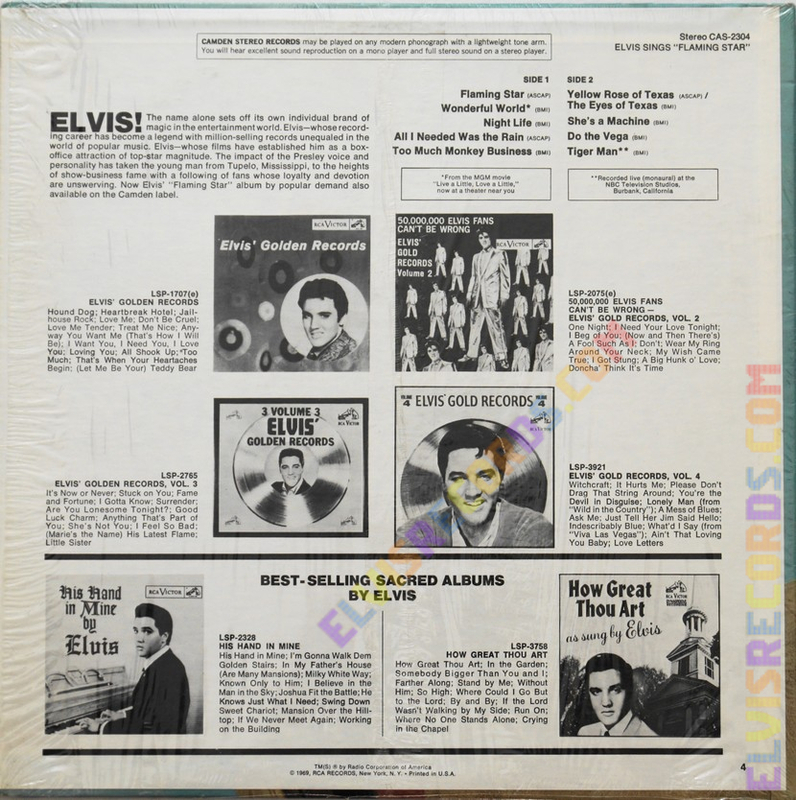 Flexible vinyl. 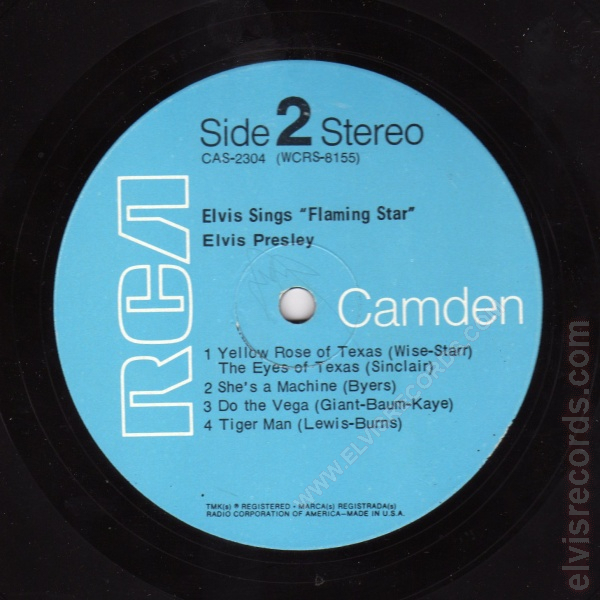 This is only a matter of opinion, but I believe that the flexible vinyl is the most difficult to find for this release. 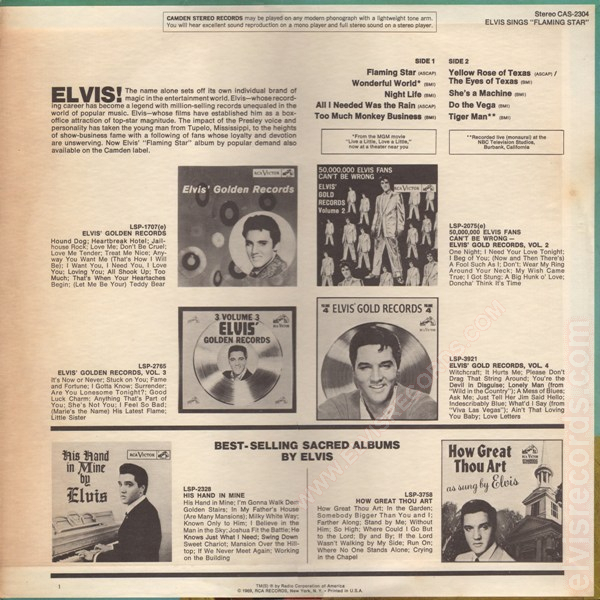 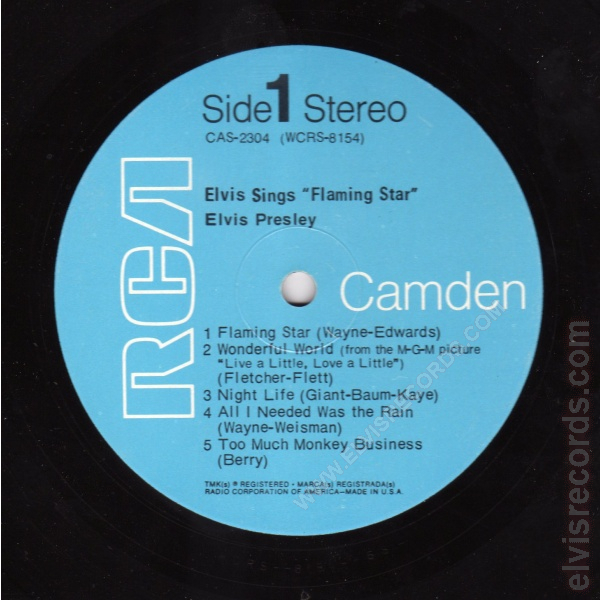 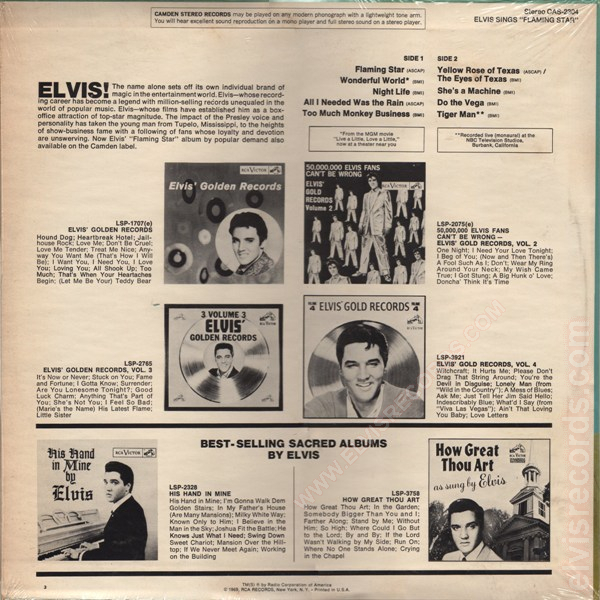 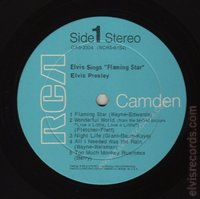 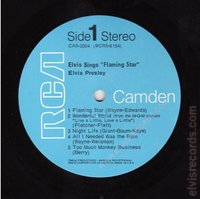 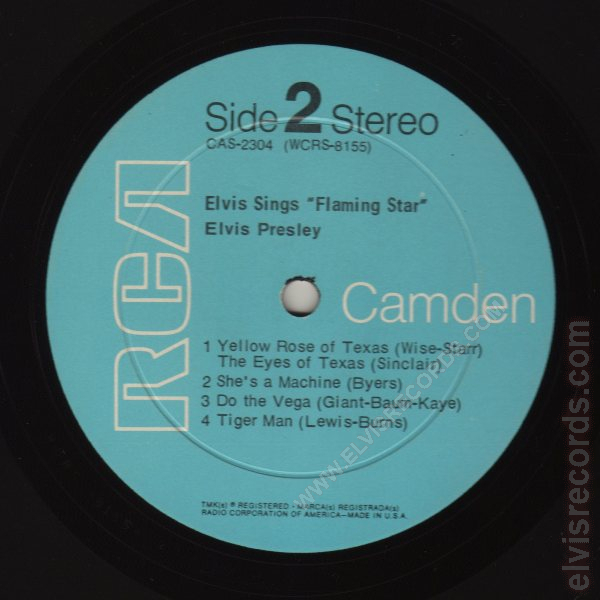 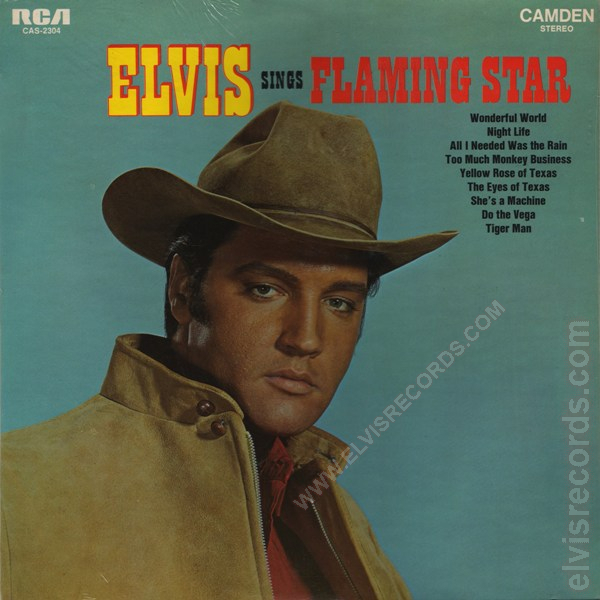 Originally released as PRS-279 Singer Presents Elvis Singing Flaming Star and Others in October 1968. 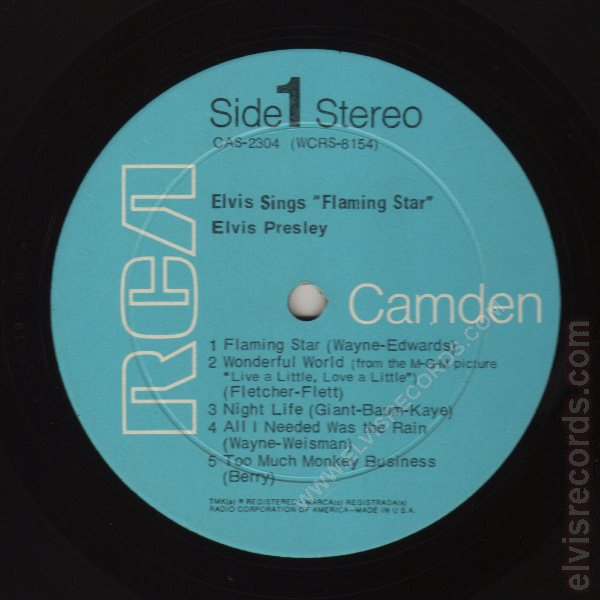 Re-released on Pickwick Records as CAS-2304 Elvis Sings Flaming Star in 1975.